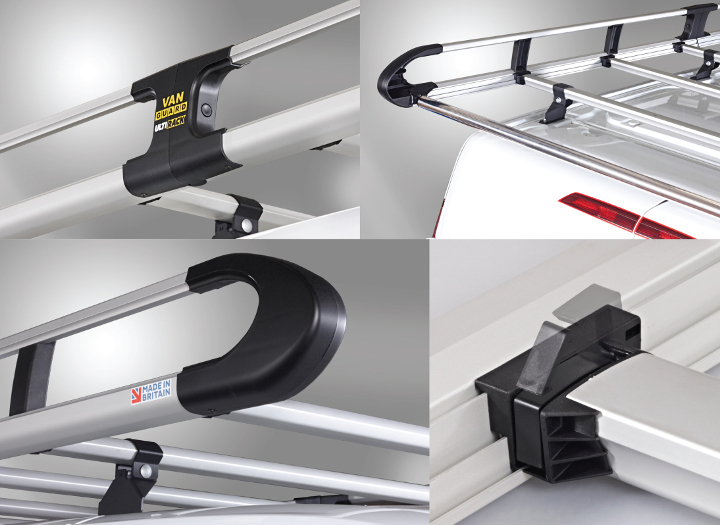 Introducing the revolutionary new aluminium ULTI Rack from VANGUARD. This truly is a premium product at a non-premium price. The heavy duty ULTI Rack both looks the part and does the job. Made from lightweight aluminium (up to 37% lighter than competitors roof racks), it is strong, built to last and fuel efficient. Featuring a unique Click & Lock mechanism designed to make fitting quicker and easier than any other rack on the market. The innovative design results in the rack containing at least half the number of fixings of competitor racks. The aerodynamic profile also minimises wind noise and reduces drag. Manufactured in Britain by Vanguard, just look at the pictures to see the quality of this product. 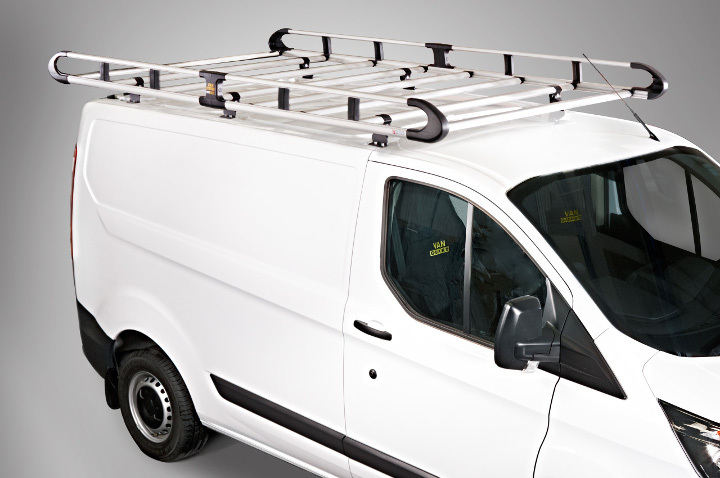 The picture below shows an 8 Bar Ulti Rack fitted to one of our Ford Transit Custom demonstrator vehicles for illustration. This listing is for a 5 BAR ROOF RACK TO FIT THE MERCEDES CITAN 2008 ON. The ULTI Rack includes a full width stainless steel roller for ease of use when loading and unloading items. Our ULTI Racks are extremely lightweight, strong and aerodynamic. It's aerodynamic styling causes it to have minimal wind noise and drag making it much more fuel efficiant than other roof racks. The full width stainless steel roller sits at the very back of the rack to help with the loading and unloading of items *. The plastic end cones, spacers and connectors are all coated with a UV protection preventing them from fading over time. Premium quality for a competitive price. Load carrying capacity - 100KG distributed evenly. (Maximum load must be in accordance with the vehicle manufacturer’s load bearing capacity. Please refer to vehicle handbook. Click the button below to add the Mercedes Citan Ulti Rack, Roof Rack, 5 Bar 2008 On Twin Doors L2, H1 to your wish list.